Questions about Kichler Lighting 45402OZ? 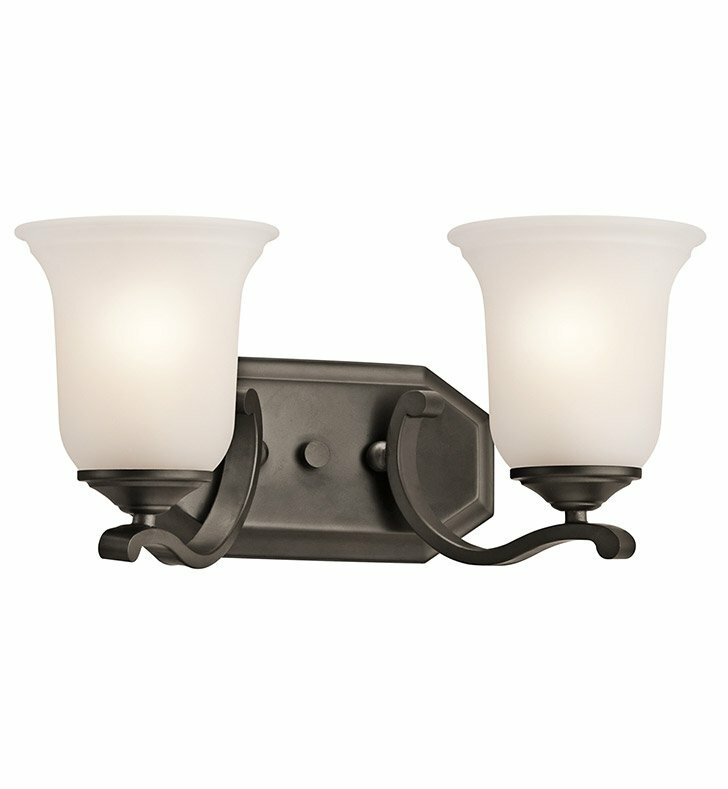 This 2 light wall fixture from the Wellington Square collection features simple lines, soft flourishes and little details that create beautiful light. The Satin Etched white glass rests against gently sloping arms to create an interesting, architectural element to this fixture. Touched with an Olde Bronze finish, this design will make a statement in any space. May be installed with glass up or down. Dimensions: H 7 3/4" x W 16"